I am looking for information about including this in some software I am developing. I would like price and license structure. Do you have a native .Net version and if so, where can I find the documentation? I installed the demo of the COM SDK and while it worked, it was very slow. It was taking about 50 seconds per page using the default settings in the application. I need to find options that can speed up the processing. We haven't a native .NET version, PDF To Image Converter SDK can be called from .NET code without any problem. 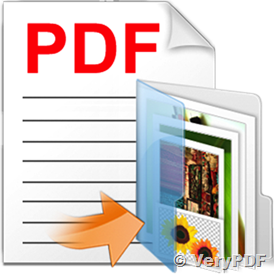 "-r 100 -mono " options will convert your PDF file to image files quickly, please to try. Mono won't work. The images need to be 256 shades of gray. Where can I get a list of options that I can pass so I can test various settings and try for one that works best with our system? Ideally, I would need 256 grayscale, 300dpi images converted from pdf pages. Typically pages are PDF's of an E size drawing (36" x 48"). 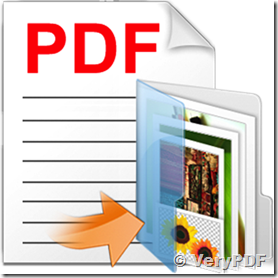 Convert PDF files to Image files, include TIFF, JPEG, GIF, PNG, BMP, EMF, PCX, TGA. etc. for %F in (D:\temp\*.pdf) do pdf2img.exe "%F" "%~dpnF.png"
for /r D:\temp %F in (*.pdf) do pdf2img.exe "%F" "%~dpnF.png"
I have been testing this for a few days. We are currently using another vendors product to do the PDF->Tiff conversion, but it is failing to convert a small percentage of the files our clients are needing. Your software converts all of them just fine, but takes over 5 times longer per page. Here is the code I am using with the demo software. We require 200DPI greyscale TIF images for our final application, ideally with LZW compression. I would like to not have to include two different PDF converters, but I don't want to dramatically slow down most users just to help a few edge cases. Please let me know if there is anything that I can do to improve the performance. We hoping you can convert PDF file to JPEG format faster than TIFF format. btw, the trial version will add some watermark test into output image files, these demo watermarks will speed more time if you have big and many output image files, because demo watermark function will need to add demo watermarks to these image files one by one. Our PDF2Image COM is support halftone technology for mono images, so the image files will be clear enough in black and white mode. How could I convert a TIF file to PDF format?